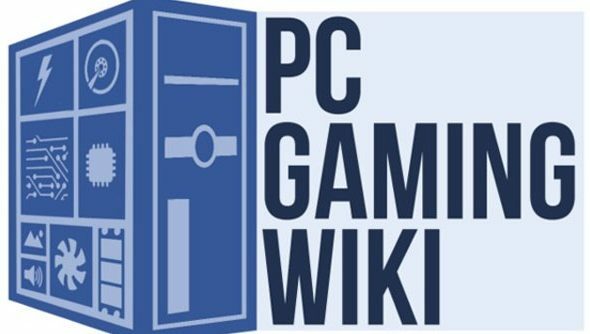 PCGamingWiki, the wiki that aims to collate bug fixes and improvements for every game ever made, opened on Kickstarter earlier this evening and reached its target in just a couple of hours. Below find details, disclaimers, and viral videos. The Kickstarter may have only been seeking £500 but, unlike Braben and his Elite: Dangerous game which has bright lights and whooshing noises, a wiki devoted to collating bug fixes doesn’t have the flash fundraising often requires. So to reach the small target, and so quickly, is still quite the success. This isn’t the first time there’s been a PCGamingWiki Kickstarter: back in April, Andrew Tsai, the site’s creator, took to Kickstarter in search of $60,000. He was to use this to hire a content writer full-time to spend a year contributing fixes to the site for the biggest games released since 1994. The campaign failed, securing less than $3,000. Thankfully, this time, the project has found its funds and we can look forward to more regular updates to the site. Plus, with 31 days left on the clock, there’s still plenty of time for Tsai to raise many times over the amount, securing more fixes and articles for the archive. Huzzah. Disclaimer: Andrew Tsai, creator of PCGamingWiki, has written a number of articles for this site concerning bug fixes and general improvements for big release games – Dishonored, for instance. Are we biased in telling you about his Kickstarter? A little. On the other hand, PCGamingWiki is a fantastic resource and, even if you were to read this post and not pledge towards the site, hopefully you will go visit it, bookmark it, and return to it next time you have a problem with a game.